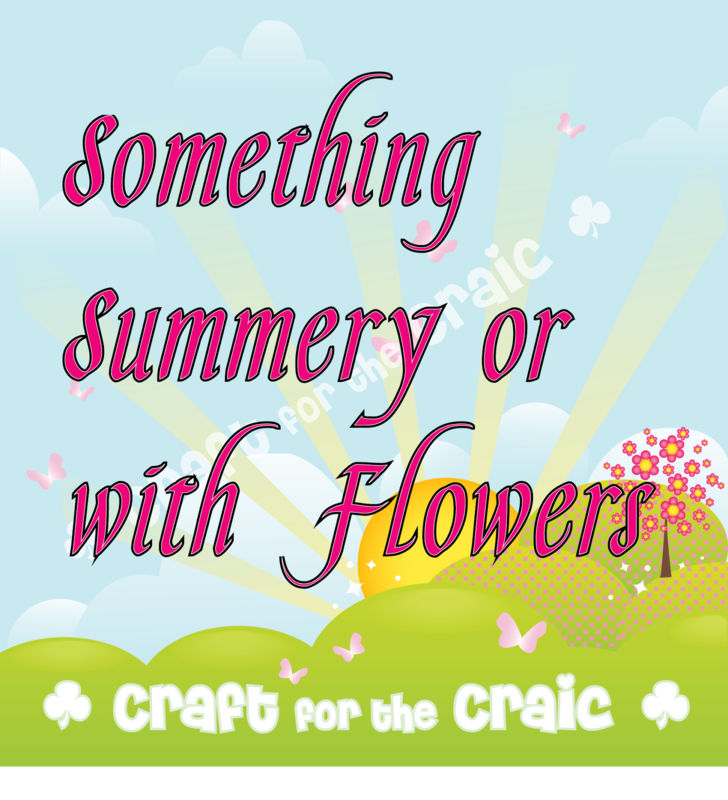 Hello and welcome to my cardmaking and crafting blog..
My post today is my new DT project for the new challenge starting this morning at Craft for the Craic and our theme this time is **Summery / Flowery**. A great challenge with lots of scope for creativity. I have chosen the Summery project. I wanted to create a beach scene to get some sunshine in to my day, as there seems to be precious little of it about. My card base is a white 5x5 tent fold card with a smaller square of blue card matted to the front. I added some torn strips of cream paper with distressed edges, to represent the beach and a third strip of white paper, torn roughly, to represent the surf. 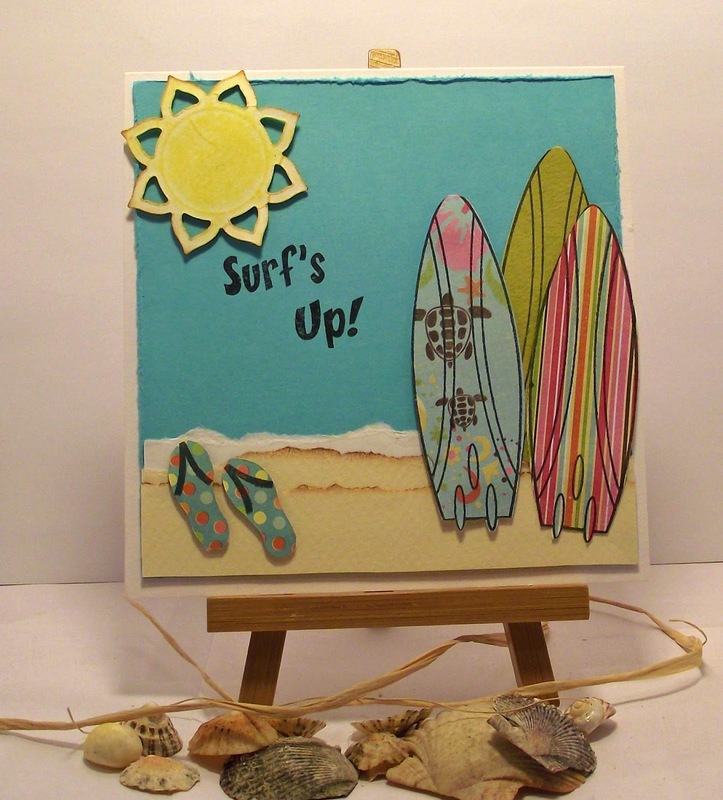 My Surf boards were stamped on to some coloured paper and adhered to the front of the card. I then created some flip-flops using a stamp from the same stamp-set of Stamps of Life clear stamp set. I then added the much needed sunshine , die sut from a Nellie Snellen die to complete the card. 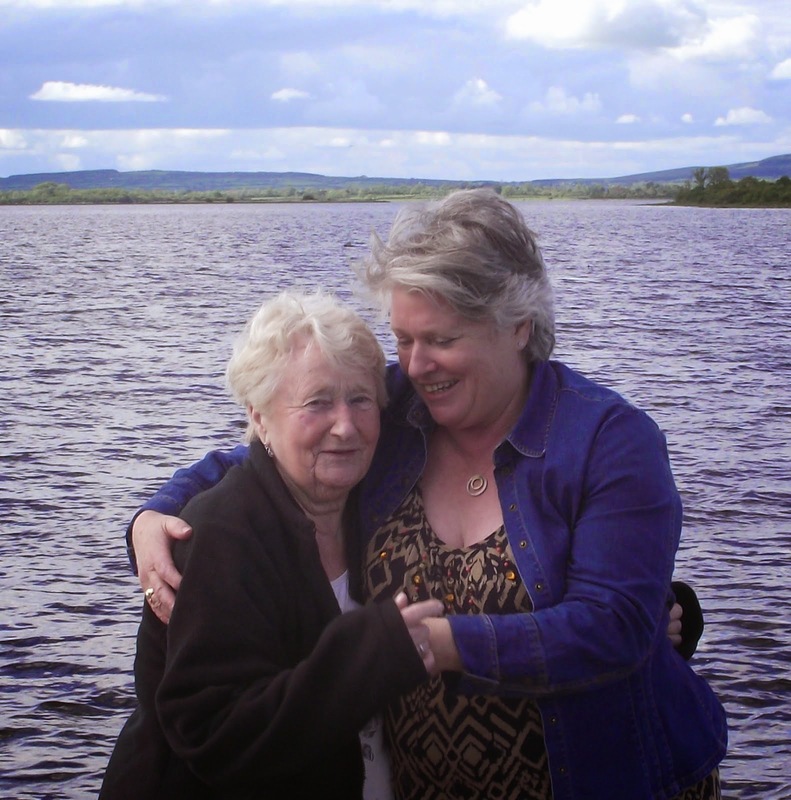 Pop along to the Craft for the Craic Challenge Blog to see the DT projects that will inspire. They are a talented bunch. And when inspired, join in ! Over to you now. Get crafting and get your entry in. Don't forget to check out the challenge rules and link your entry back to the blog. Thanks for stopping by to read and comment. Your time is appreciated and comments welcome.